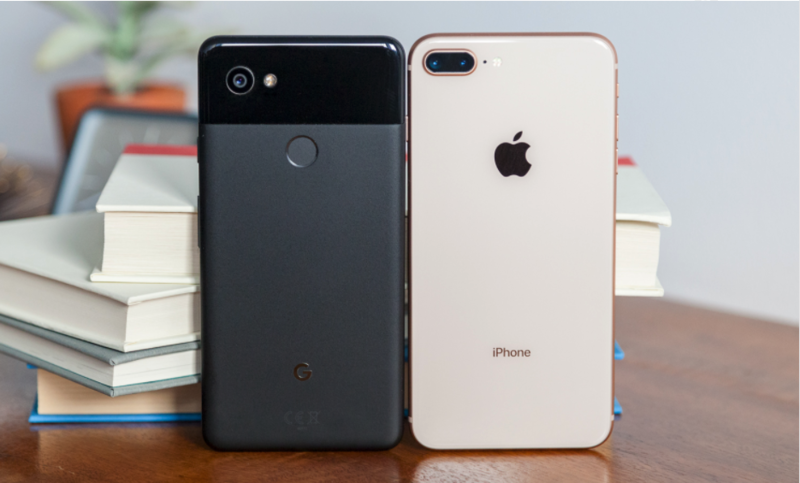 Apple’s iPhone 8 Plus and Google’s Pixel 2 are the two most praised smartphones on the market right now when it comes to camera performance. Tom’s Guide has posted a shootout between the cameras found on both devices, and tried to draw a conclusion as to which one is the best. Apple’s flagship packs dual 12-megapixel lenses, which is composed of a wide-angle lens that has an f/1.8 aperture and a telephoto lens that has a f/2.8 aperture. 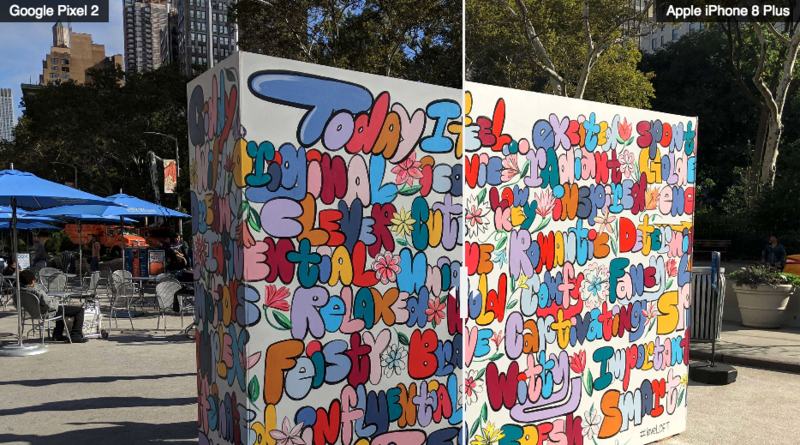 In comparison, the Google Pixel 2 only features a single 12-megapixel camera with an f/1.8 aperture. Both phones are able to apply similar effects to the photos you take. However, Google is focusing on using software to create these effects, while Apple relies on a mix of both hardware and software. For example, both smartphones have the ability to take portrait mode photos with a bokeh effect. However, the method in which this effect is achieved is drastically different on each device. 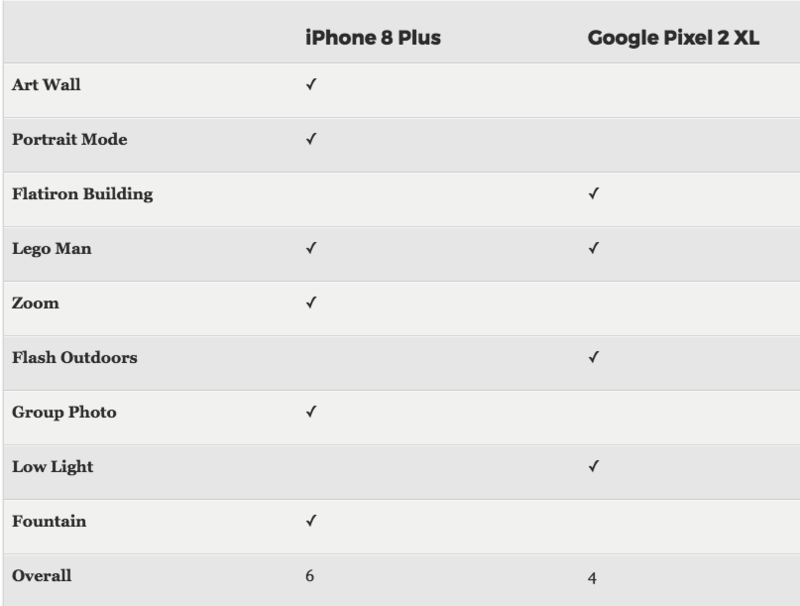 Overall, Apple’s iPhone 8 Plus came out on top, but Google’s Pixel 2 won some key rounds. 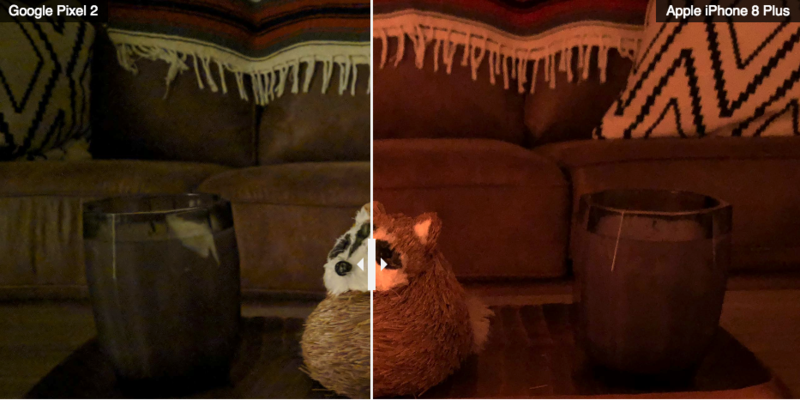 For example, the Pixel 2 edged out the iPhone 8 Plus when it came to low-light photography, which is an area that is really difficult for smartphones to do.